Daniel Poussart is as a David against Goliath in the long distance racing. That is how we described him four years ago after our first visit to Bourlers, the home of the pigeon breed of this friendly fancier. He has a wonderful collection of top quality long distance pigeons. He is also known for having a fairly small pigeon family, especially compared to other long distance fanciers: he was about 15 old birds and 15 yearlings. He only has 30 boxes and a loft that accommodates approximately 60 young birds. Bourlers is located in the deep south of the province of Henegouwen, close to the French border and in the region of Chimay. It is a picturesque region and popular among tourists. However, many fanciers are convinced that his region is not at all a good location to be successful in the national pigeon races. Daniel Poussart proved otherwise. He specialised in the national and the long distance, which are the races from 700-800 km. He has a remarkable list of achievements. A pigeon will not get a place in his breeding loft if it has not won prizes in the national top 100! This is hard but fair and this is what made him into a successful fancier. It allows him to compose a breeding loft that is housed with nothing but excellent and talented pigeons. Thanks to these strict requirements he has been able to create his now legendary and world famous Montauban family or the direct descendants of his super class breeding pair! Click here to read more about the top pair of Daniel Poussart. These pigeons have allowed him to compete with the very best pigeon lofts in the long distance in Belgium but he has also attracted the interest of other fanciers, even abroad. 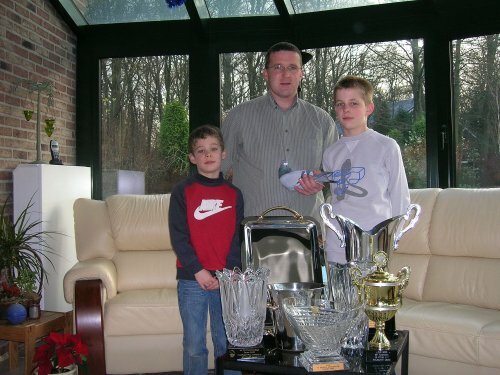 This talented family is in the spotlight these days as they are performing very well. It seems that the wonderful success story of Daniel Poussart comes to an abrupt end. Last weekend we received an e-mail that really surprised us. 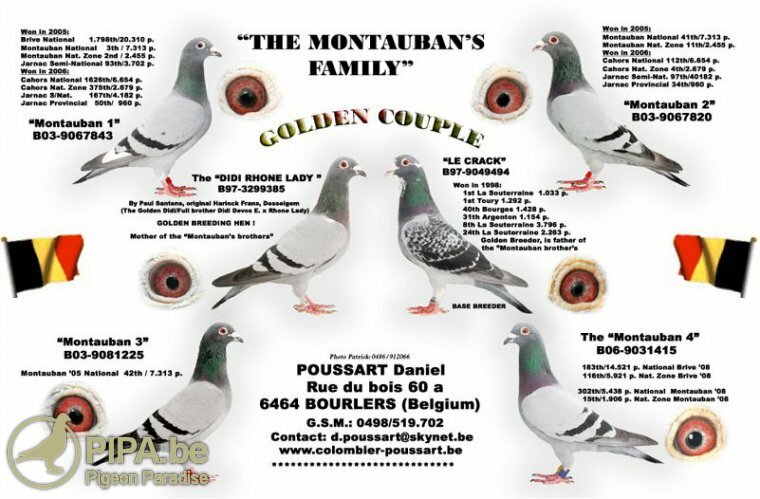 Due to family reasons and the fact that they are about to move house Daniel Poussart has now decided to auction his entire collection of exceptional long distance racing pigeons. The reason why he chose to sell on PIPA was because we became close friends since the warm welcome we received during our first visit to Bourlers four years ago. This auction will be organised in April. We will inform you in due course on our website!